New to Studiometry 12.6 and Studiometry Cloud is File Sharing. You can now upload files to share with your team and easily access from Studiometry on any machine. 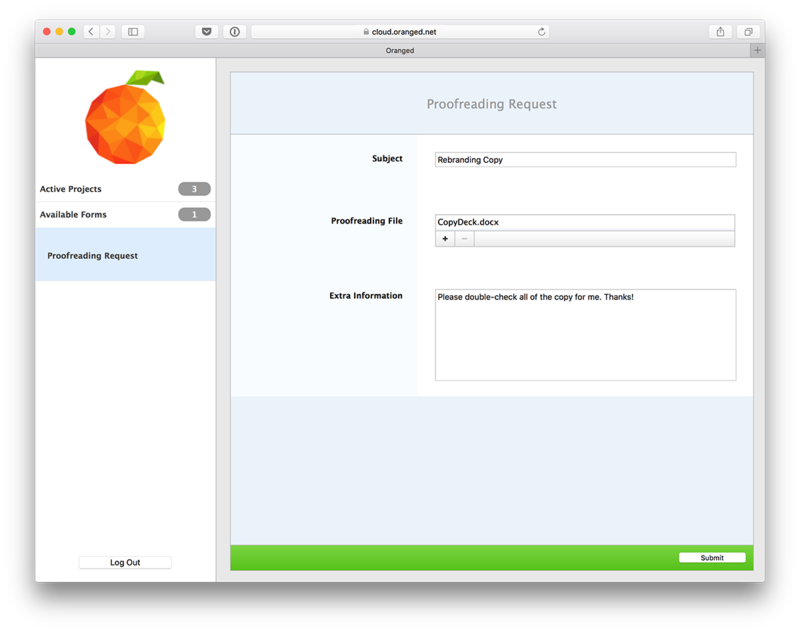 You can even let your Clients submit files via the web using Forms, and they’ll appear in Studiometry, automatically linked to the associated Client, Project, and Form. 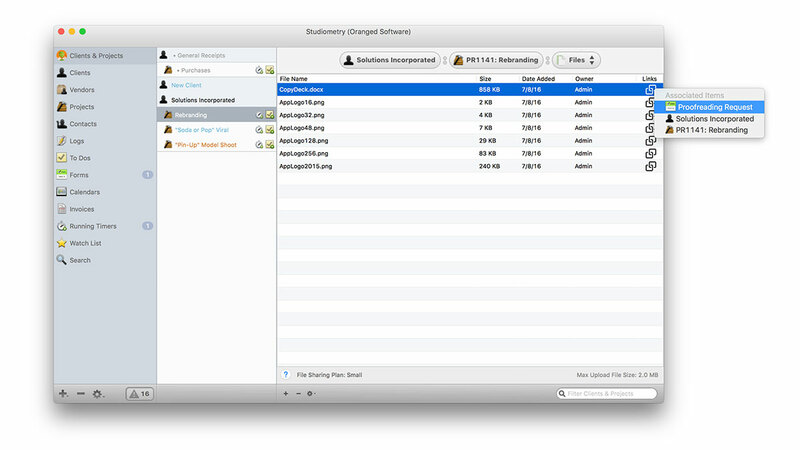 View and manage shared files for Clients and Projects directly within Studiometry. Let Clients upload files from any browser to your Studiometry Cloud File Sharing account.